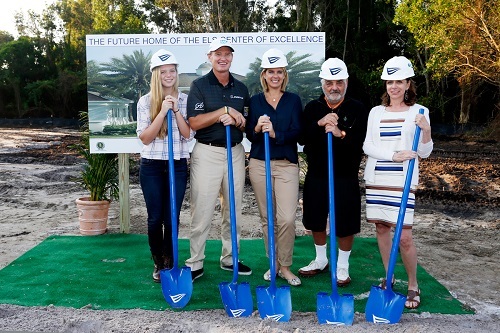 Cigar Aficiando has wonderful news on the groundbreaking for the Els Center of Excellence in Jupiter, Fla., by the Els for Autism Foundation and its many supporters. Please see the story here. The Els for Autism Foundation was established in 2009 by Ernie Els and his wife, Liezl Els, to focus on the issue of autism. The Els’ son, Ben, is severely touched by the disorder, which affects one in 88 children in the United States. For the past several years, Ernie and Liezl have devoted their efforts to establishing the Els Center for Excellence, intended to serve as a hub of education and information for families with children on the autism spectrum.